At Strachan Eyecare Plus an initial eye examination generally takes about 30 minutes. This includes a detailed history covering your specific visual requirements, your general health, previous ocular problems and your family ocular history. Looking for signs of eye disease such as glaucoma, cataract and macular degeneration, as well as systemic diseases such as diabetes and hypertension, which unchecked can lead to devastating effects on eyes and vision. The Optometrist will also assess how easily your eyes can change and sustain focus and how well your eyes team and track together. Measurement of intra-ocular pressure is routinely performed on all patients over the age of 40 years as a screening test for glaucoma and will be done on indication on “at risk” younger patients.This involves use of anaesthetic eye drops; which do not affect vision, but they may cause a brief stinging sensation, quickly followed by numbness for a further 10 to 15 minutes. Following this initial examination, recommendations appropriate to your specific needs can be discussed. A Dilated Fundus Examination. This may be scheduled to more easily examine the retina at the back of the eyes.This involves the use of mydriatic (pupil dilating) drops which can cause glare and blur post-examination. We recommend that patients should not drive or operate dangerous machinery for the 3-4 hours immediately following dilation. We will always pre-warn you of this so that the exam can be scheduled at a time convenient for you. Computerised visual field testing and ultrasound corneal thickness measurement (pachymetry), both important in detecting and monitoring glaucoma. Digital corneal topography. This is used in specialist contact lens fittings (for example, in patients with keratoconus) as well as in assessing suitability for laser refractive surgery. Digital retinal photography is recommended as a baseline for future comparison on all patients. Ocular Coherence Tomography or OCT is a ‘state of the art’ instrument enabling cross sectional and 3D ocular imaging, similar to ultrasound.OCT is invaluable for diagnosis and monitoring of potentially devastating progressive conditions, such as macular degeneration, macular holes, glaucoma and diabetes. Referral to an Ophthalmologist (eye surgeon) or GP as appropriate. 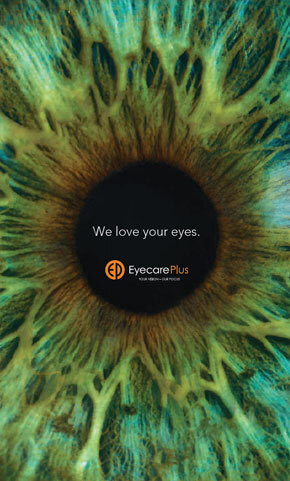 At Strachan EyecarePlus it is our policy to Bulk Bill all routine eye examinations whenever possible, however there will be a non-Medicare rebatable fee for some digital imaging services.